Emaar, the developer of the iconic Burj Khalifa and the upcoming Dubai Creek Tower, has commenced business development operations in China. This come following the announcement in July of the company’s expansion to the country, coinciding with the historic visit of President Xi Jinping of China to the UAE. Emaar has a team of dedicated business development professionals in the country, specially recruited from China, and has started the design and fit-out of two premium offices in CBD of Beijing and Shanghai, said the Dubai developer in a statement. In addition to promoting the UAE and Dubai as a high-growth investment destination, the two Emaar showrooms will showcase the flagship and ongoing premium lifestyle, shopping and hospitality developments in Dubai, like The Dubai Mall and Address Hotels as well as touristic destinations such as Burj Khalifa and Dubai Aquarium and Underwater Zoo, it stated. The diverse international educational opportunities such as New York University and Sorbonne University Abu Dhabi – a keen requirement by Chinese investors in property – as well as the healthcare amenities that are available close to Emaar’s communities are highlighted at the state-of-the-art showrooms. Emaar said it aims to work with the UAE embassy in China to promote the nation’s appeal to Chinese investors, with guidance from Ali Obaid Al Daheri, UAE Ambassador to China, who has been actively promoting UAE-China ties, by fostering trade relations and tourism, as well as highlighting the UAE’s appeal as an investment hub. The Dubai developer is also expanding its premium luxury hotel and serviced residences brand, Address Hotels + Resorts, to China. Address-branded hotels will open in key cities in the country, building on the familiarity that the brand enjoys among Chinese tourists. 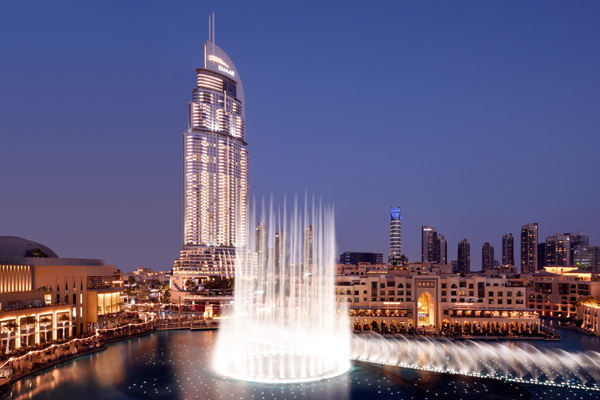 Today, Emaar’s hotels are among the most-preferred by Chinese visitors, given their central location and access to lifestyle destinations such as The Dubai Mall, said the statement.